Rediff.com » Movies » Want to take a selfie with Anushka? Want to take a selfie with Anushka? Anushka Sharma was in Singapore to unveil her first ever interactive wax statue at Madame Tussauds. 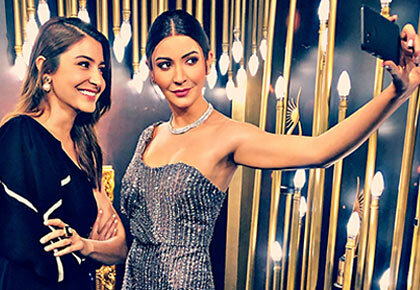 Anushka's life-like figure holds a phone personally inviting visitors to snap a selfie with her, which can be digitally shared with friends and family. She will be the first wax statue in the Singapore museum with this feature. Look out for Shahid at Madame Tussauds!